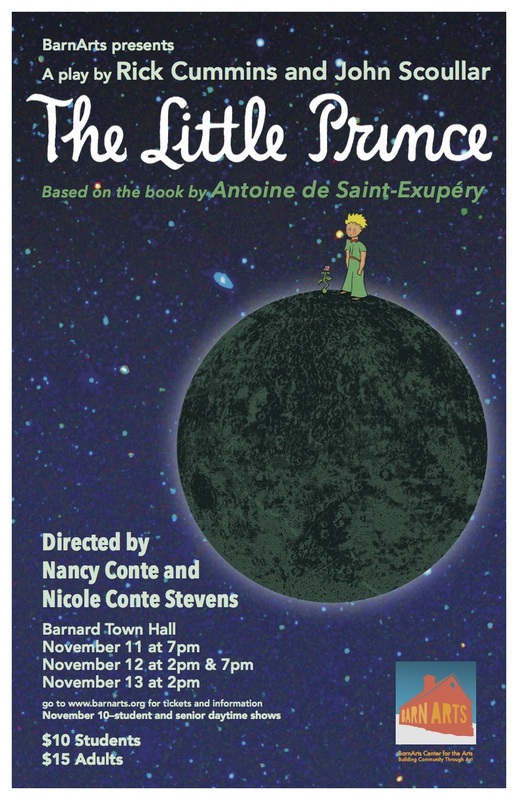 The story of The Little Prince was written by French author Antoine de Saint-Exupery while he was living in exile in the United States during the Nazi occupation of France during WWII. In this timeless classic, Saint-Exupery uses child-like imagination and language to portray the human experience. Voted the Best Book of the 20th Century by France, the book has created many spin-offs including this play, which includes all the creativity of the original and the fascinating characters the boy describes to the aviator who has crashed into his desert. BarnArts production of The Little Prince will be built from the ground up with fantastical staging, costumes, and set design and will feature a local cast of adults and youth who will interact directly with the audience in this classic tale of kindness, love and friendship told from the point of view of a child.